Nope, I'm not talking about the kind that disrupt your sleep and make you go to the bathroom. Nighttime hill sprints! I decided that I didn't want to break my 2013 run streak (ha! 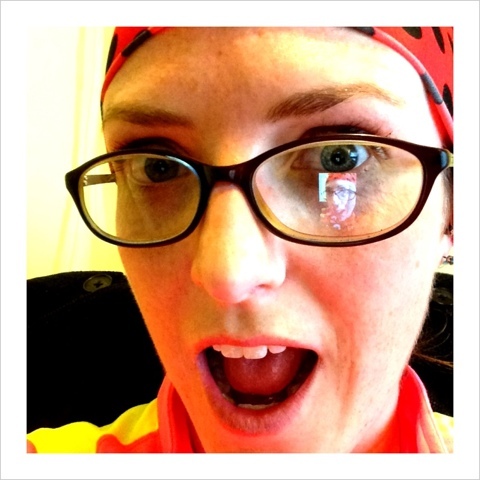 I ran two days in a row! ), so I went outside to run 10 uphill sprints last night. Boom! The streak continues! A pic of my pic in my glasses. My new favorite night run accessories: jelly LED rings! The headband is killing me - I love it! 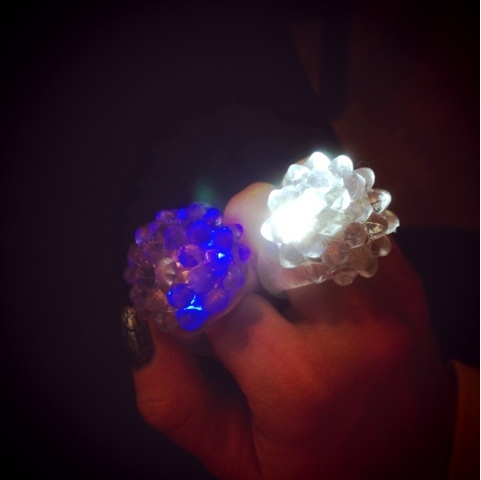 Love the jelly LED rings!